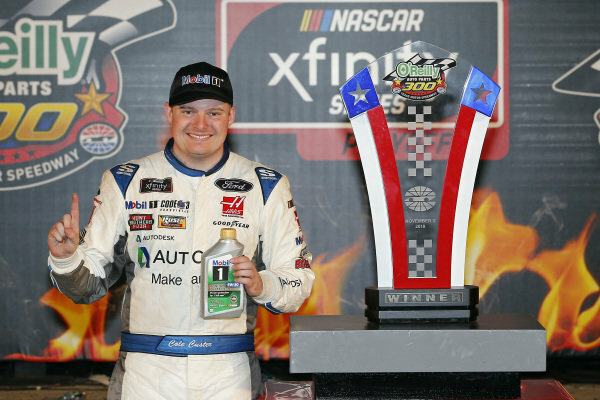 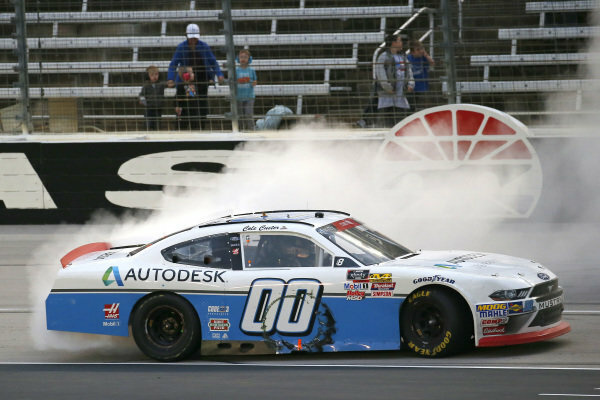 #00: Cole Custer, Stewart-Haas Racing, Ford Mustang Autodesk, celebrates after winning. 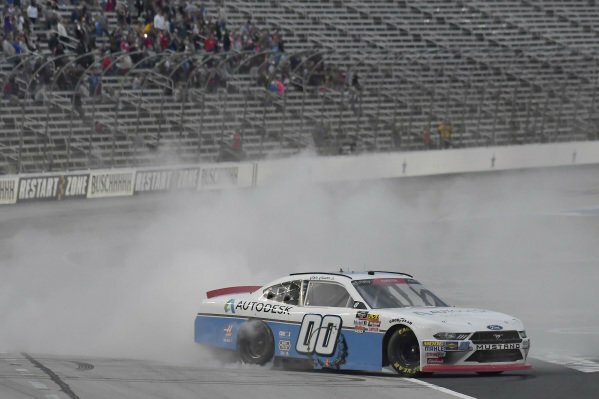 #00: Cole Custer, Stewart-Haas Racing, Ford Mustang Autodesk, does a burnout after winning. 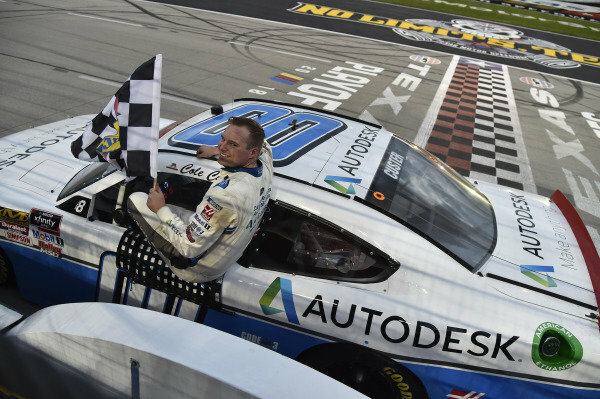 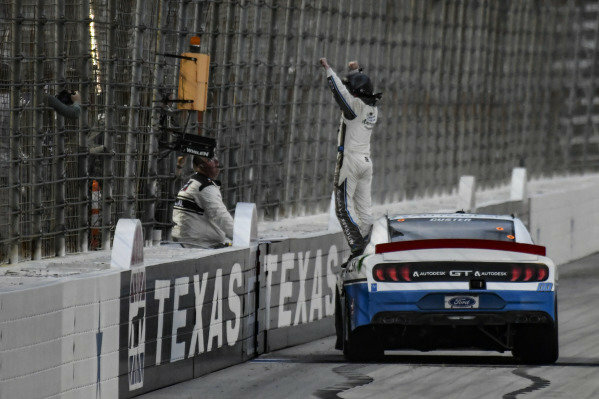 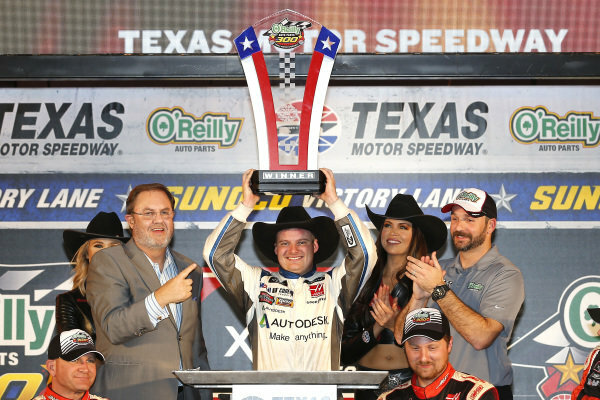 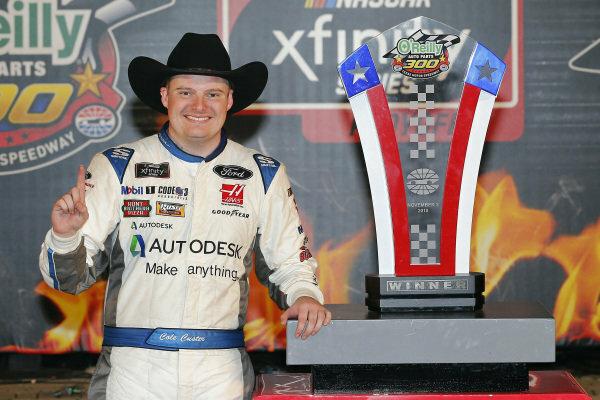 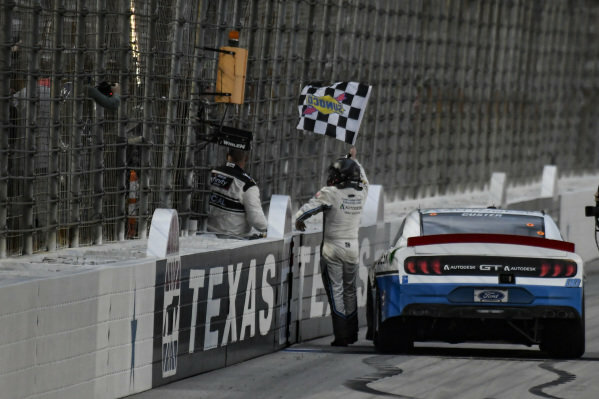 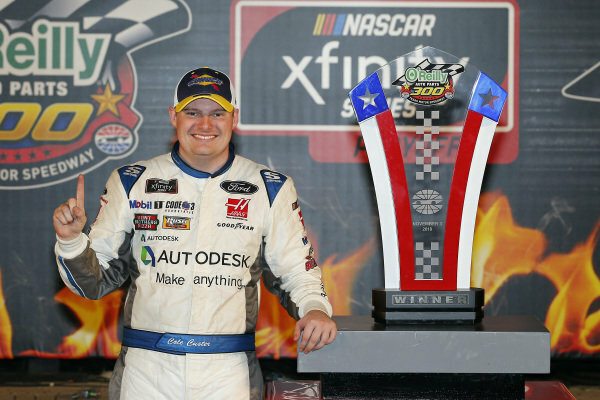 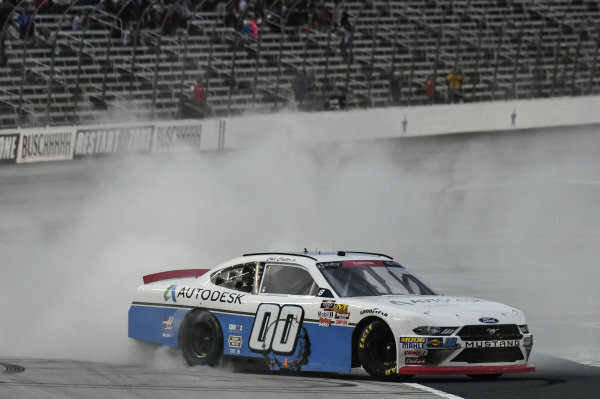 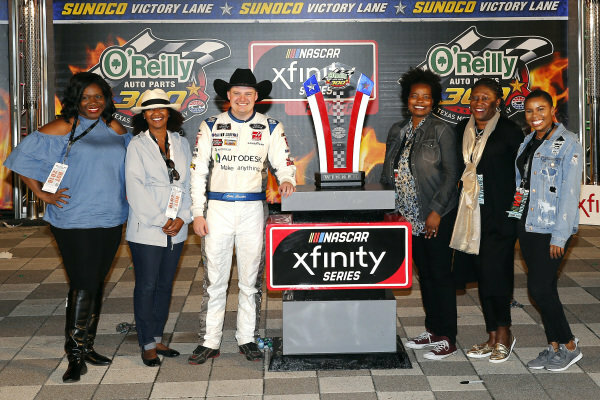 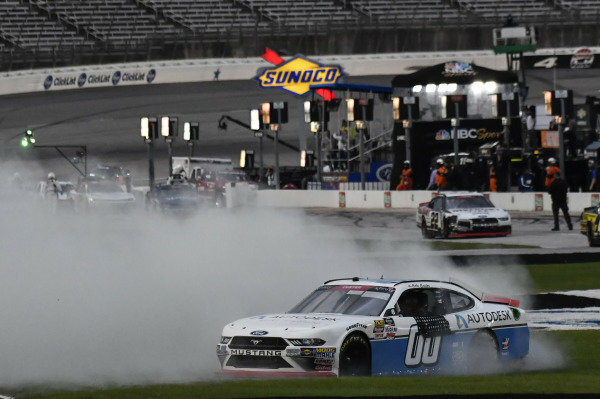 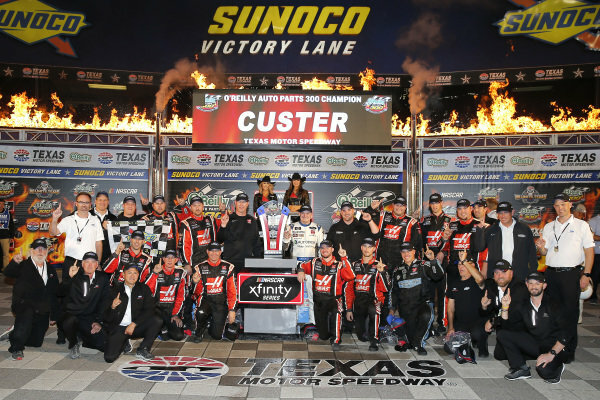 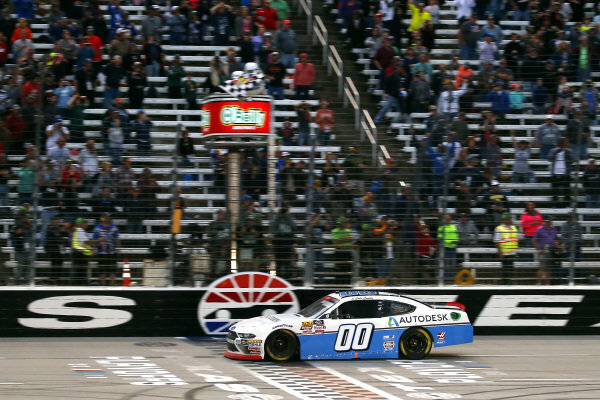 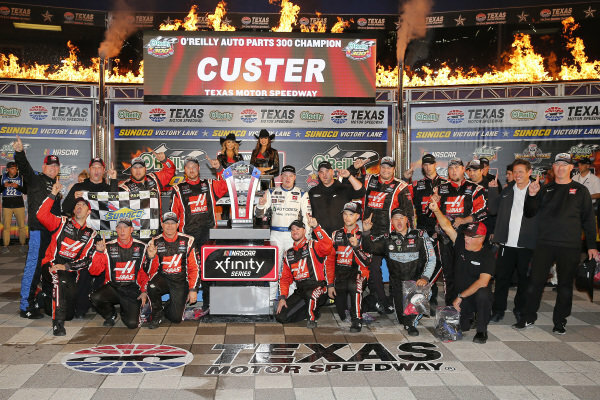 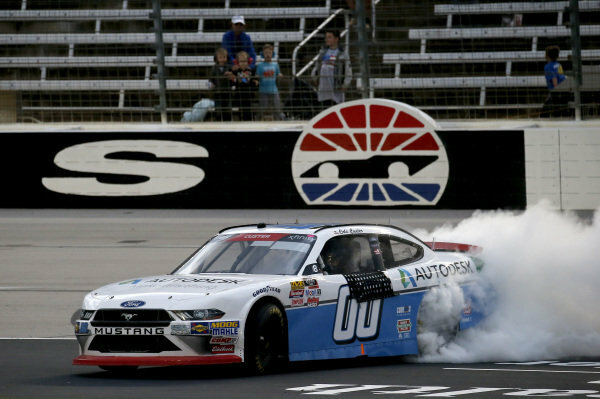 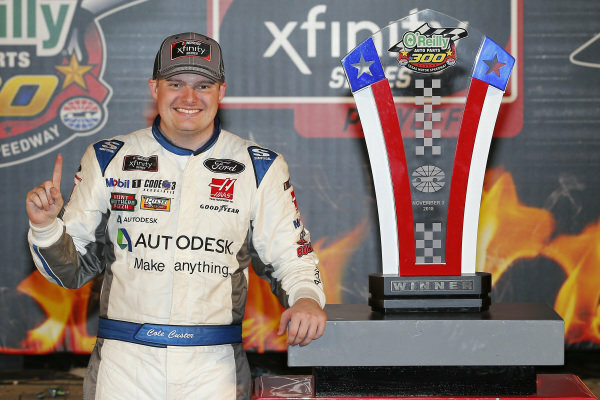 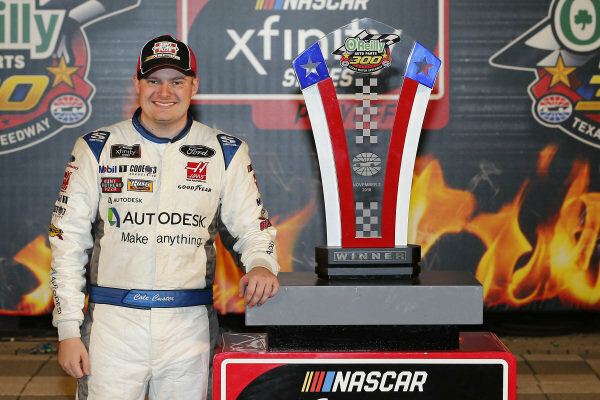 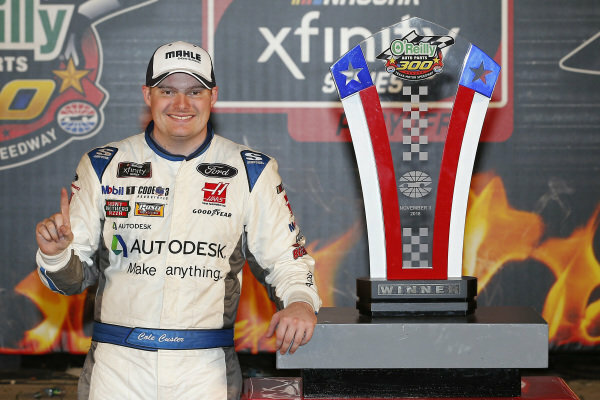 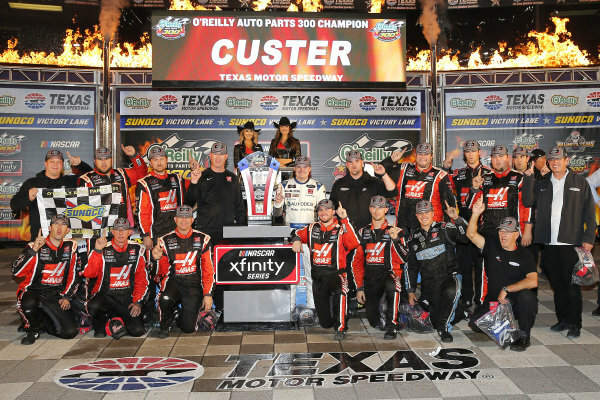 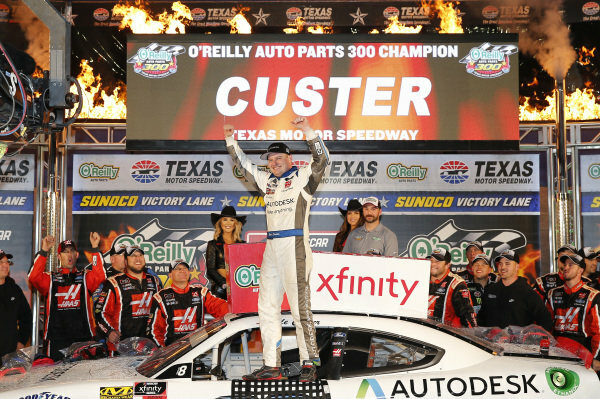 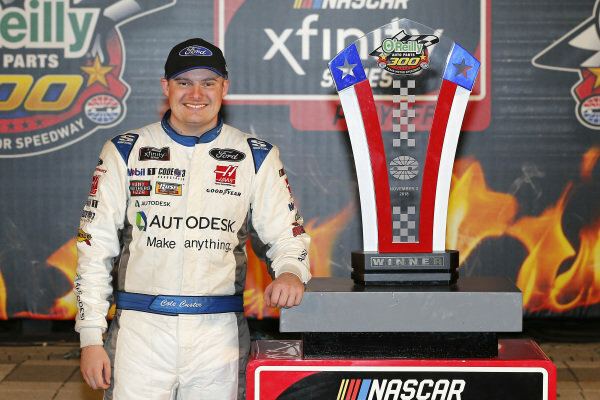 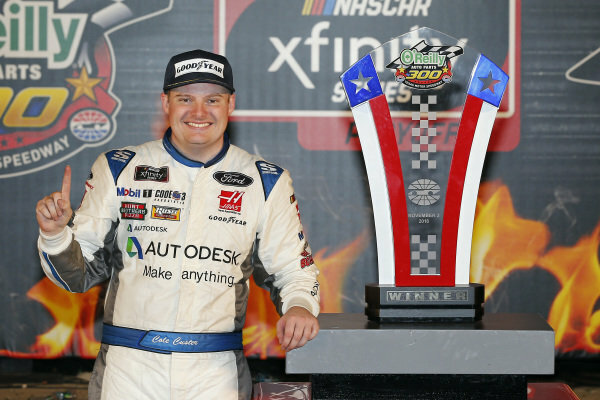 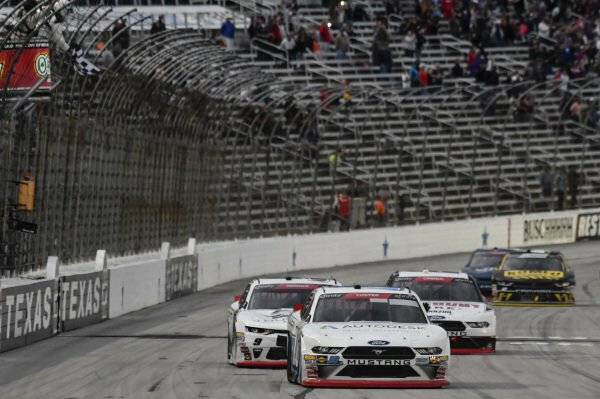 #00: Cole Custer, Stewart-Haas Racing, Ford Mustang Autodesk, crosses the finish line to win in Texas.